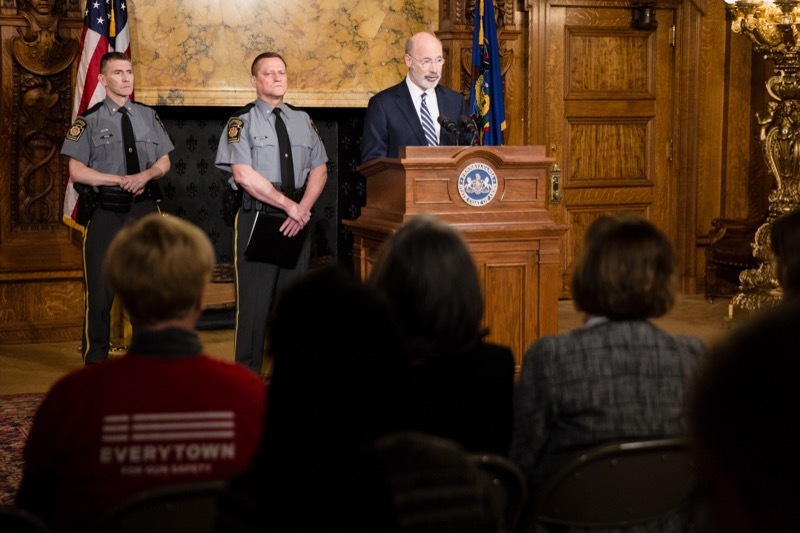 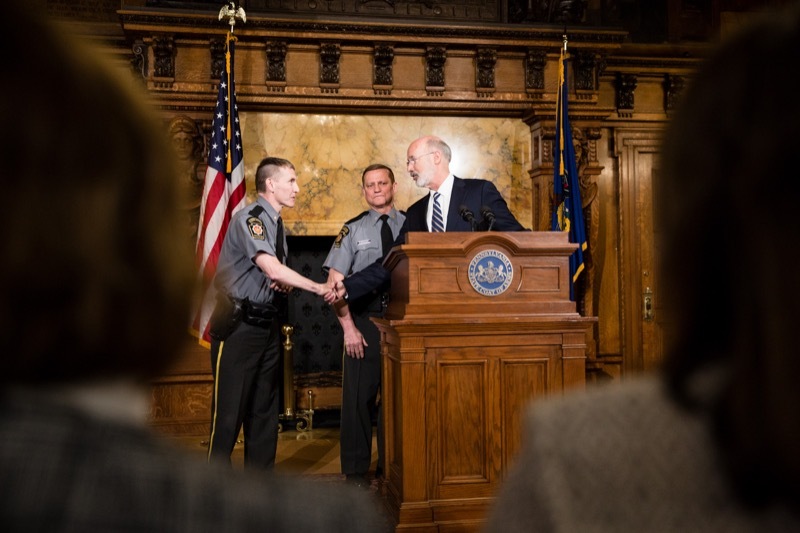 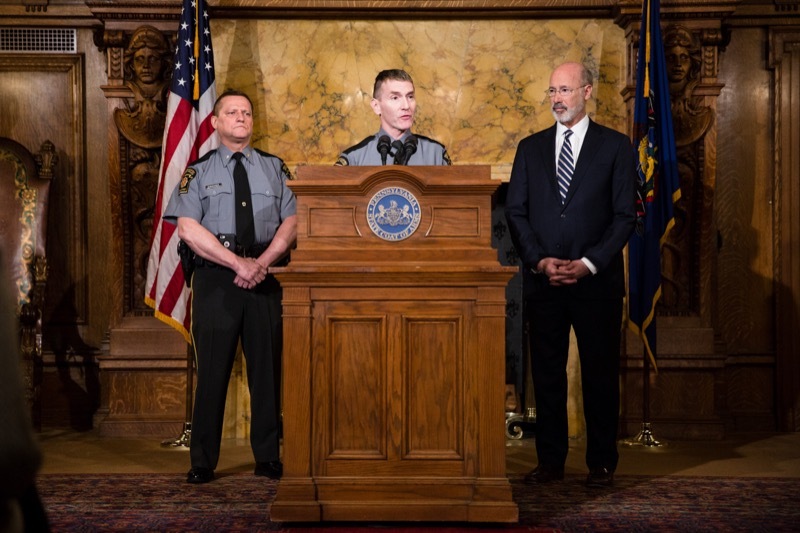 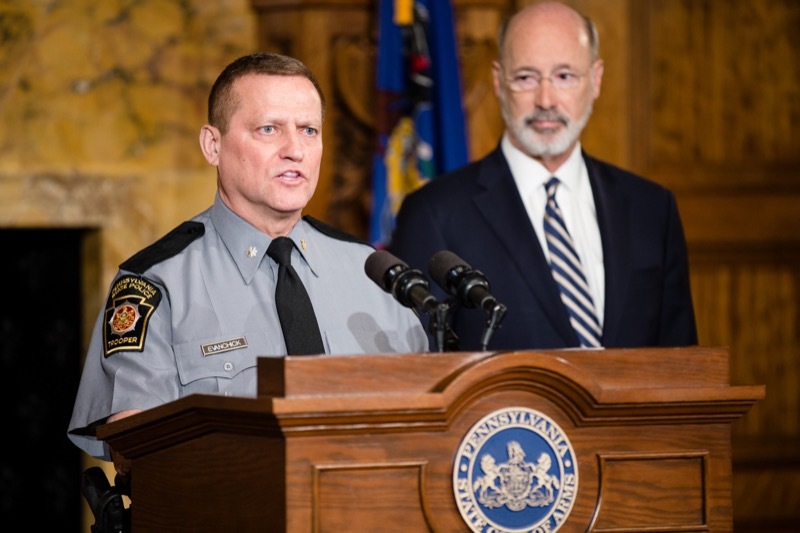 Governor Tom Wolf was joined today by Acting State Police Commissioner Lt. Col. Robert Evanchick, legislators, and stakeholders to urge passage of commonsense gun safety legislation, including background checks on all gun purchases in Pennsylvania. 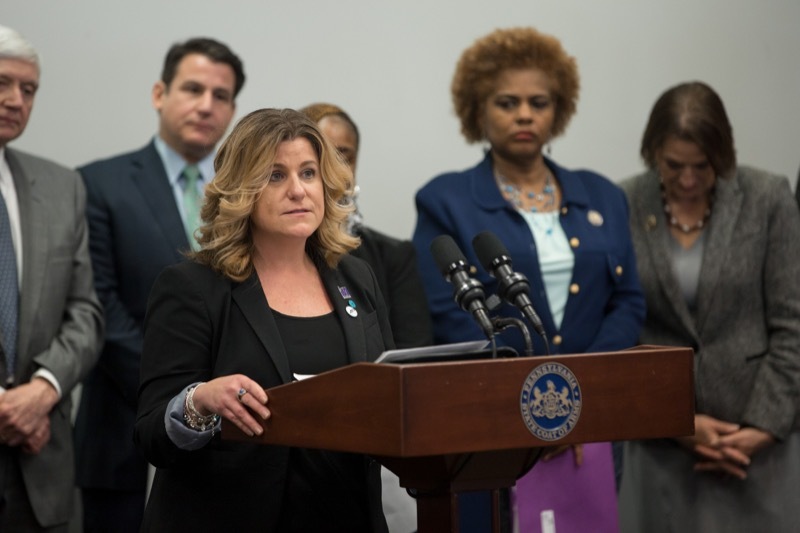 Health Secretary Dr. Rachel Levine today announced she will implement the recommendations of the Medical Marijuana Advisory Board and directed the Department of Health to prepare regulations to enact them. 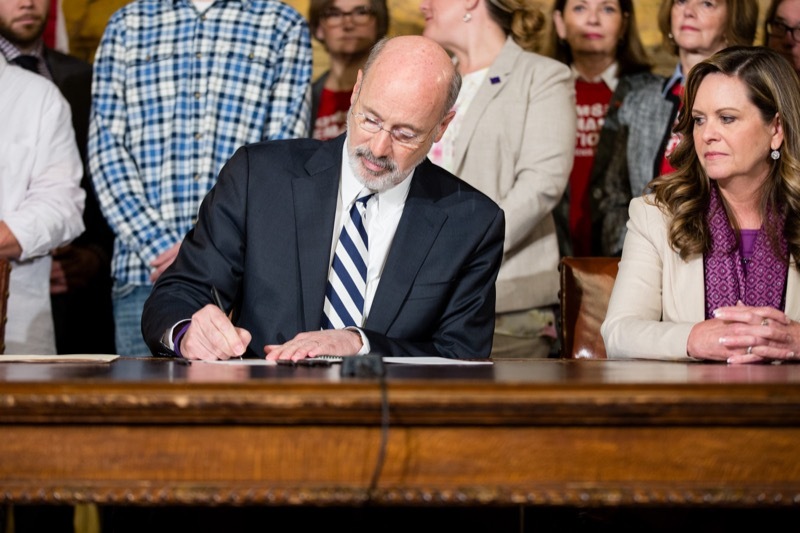 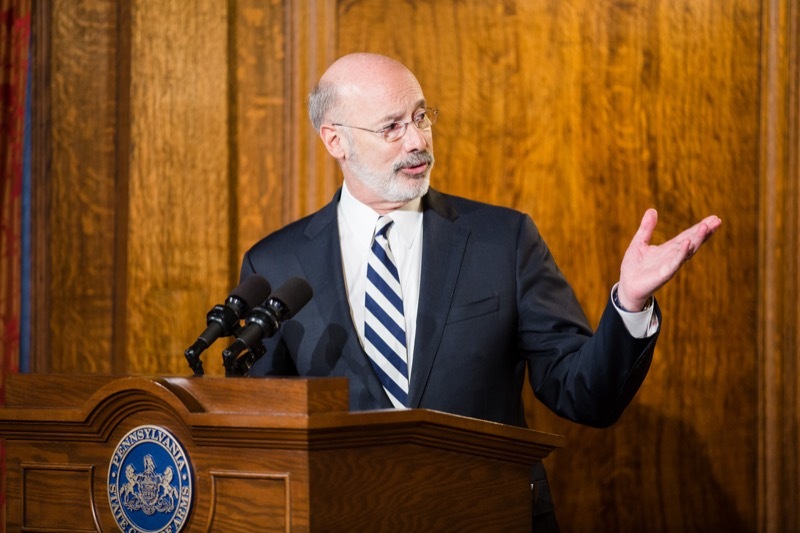 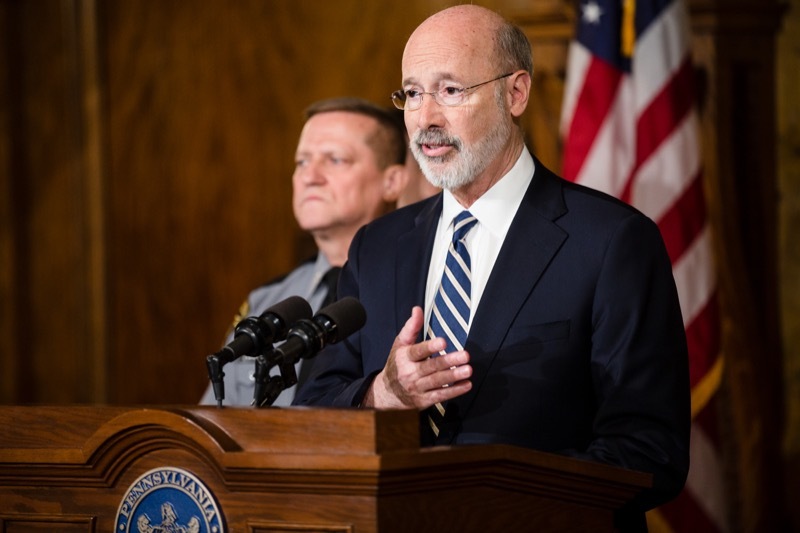 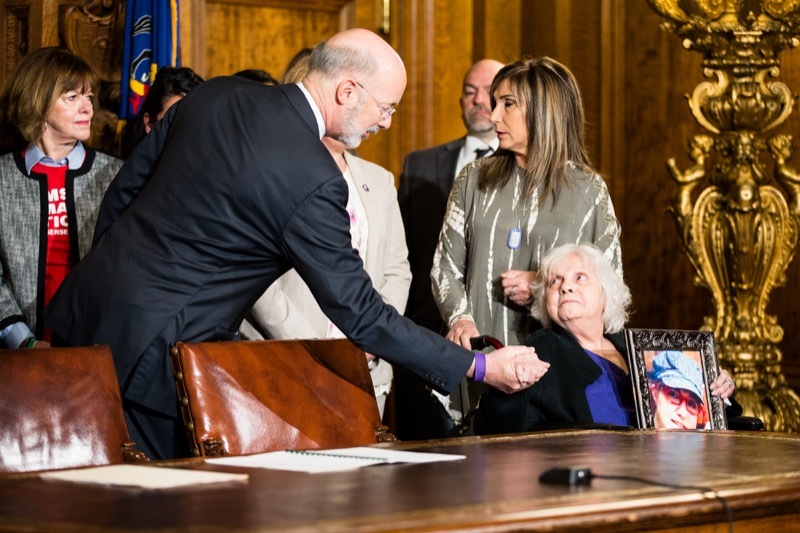 Governor Tom Wolf today signed Senate Bill 449, known as Tierne's law, strengthening protections for victims of domestic violence, and urged the House to pass a package of Senate domestic violence reform bills. 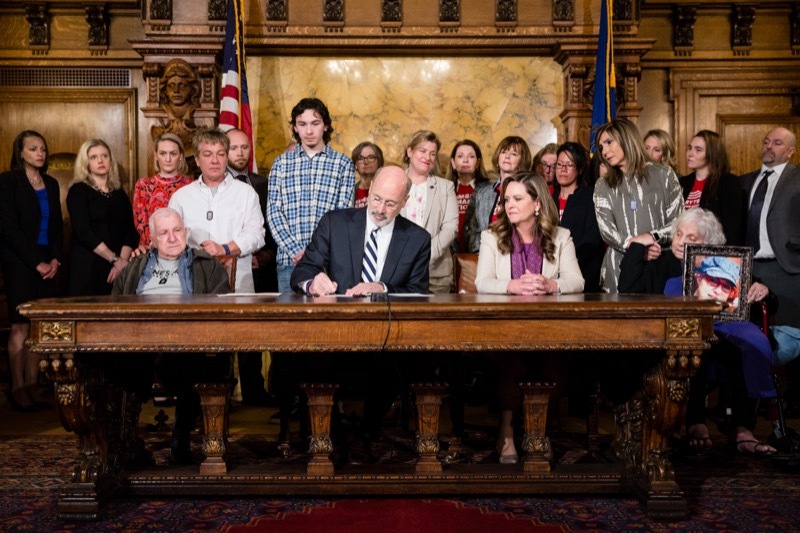 The governor was joined by Tierne's Law sponsor Senator Camera Bartolotta, Pennsylvania's Victim Advocate Jennifer Storm, legislators, stakeholders, and members of Tierne's family. 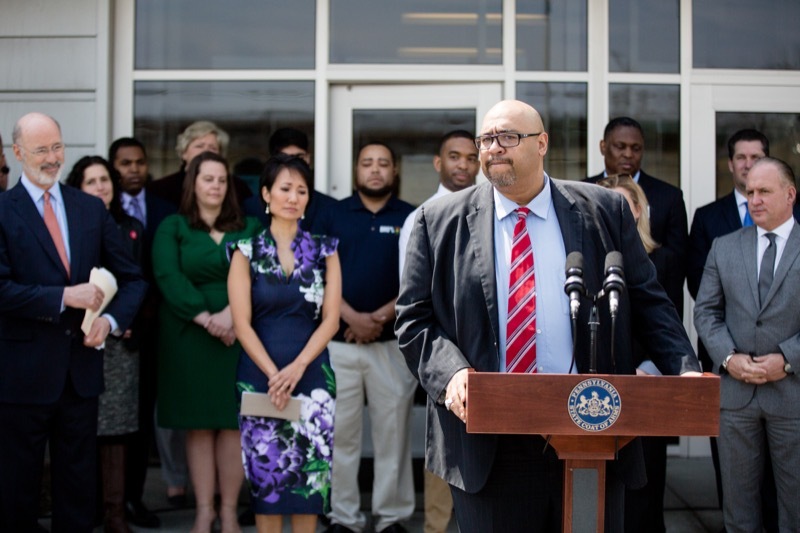 Secretary of Health Dr. Rachel Levine and Deputy Secretary for Driver and Vehicle Services Kurt Myers, along with representatives from Donate Life Pennsylvania, highlighted the importance of organ and tissue donation at an event at the Harrisburg PennDOT Driver License Center today in conjunction with the national observance of Donate Life Month in April. 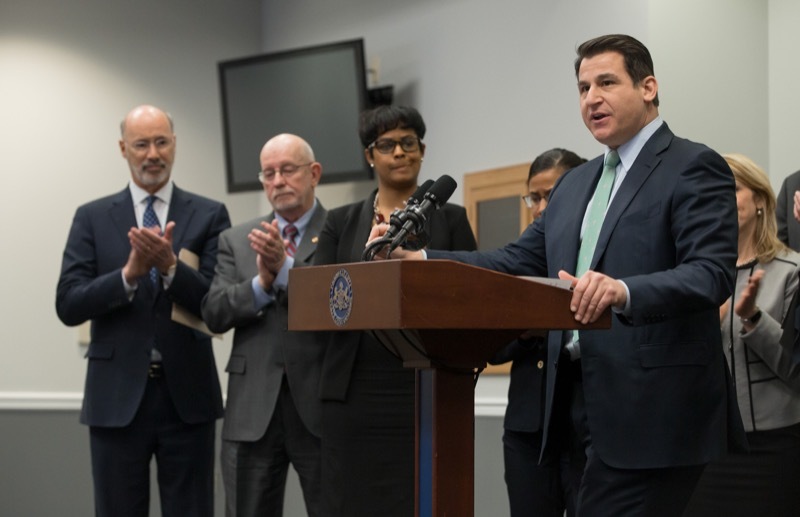 Pennsylvania Treasurer Joe Torsella today visited Indiana County to launch Treasury's Keystone Scholars program at the Indiana County Technology Center (ICTC). 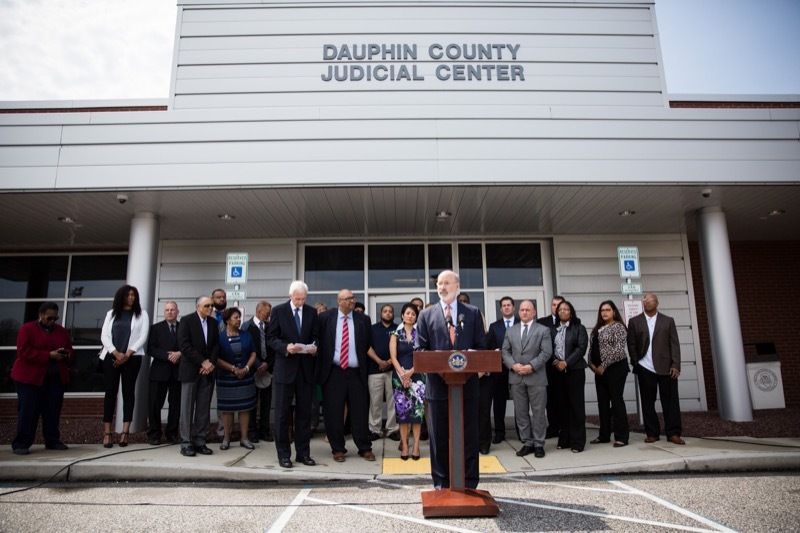 Torsella was joined by Representative Dave Reed, Senator Don White, Representative Cris Dush, Indiana County Commissioners, ICTC administrators, students, and staff, leadership from Indiana Regional Medical Center, the president of Indiana University of Pennsylvania, and the United Way of Indiana County. 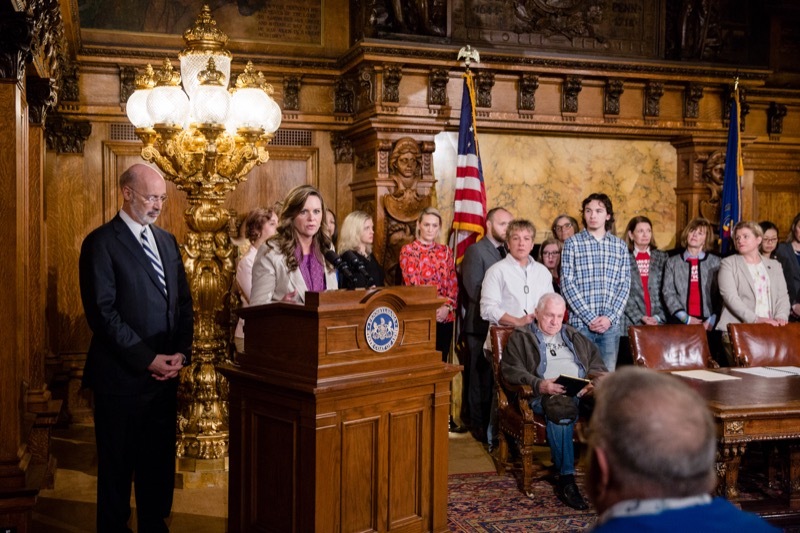 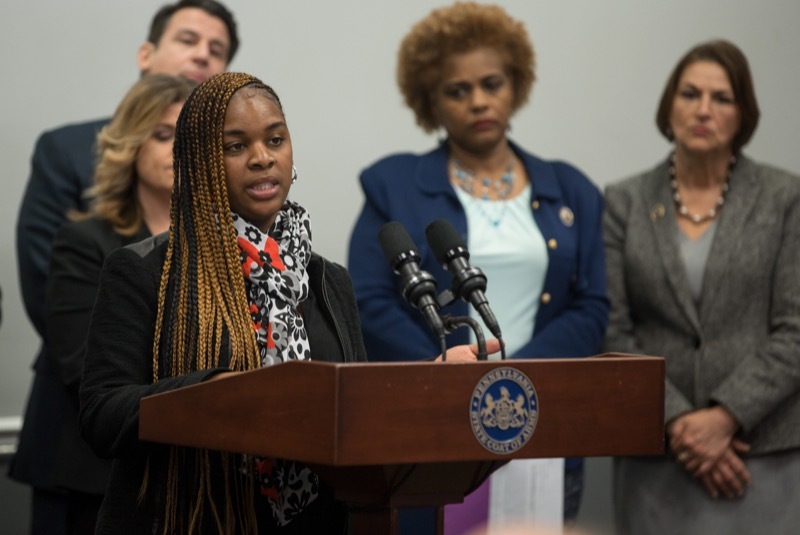 Designed to help encourage higher education aspirations and to help families start saving early, Torsella launched the Keystone Scholars program to provide a $100 scholarship grant to every child born or adopted in Pennsylvania to be used towards higher education expenses. 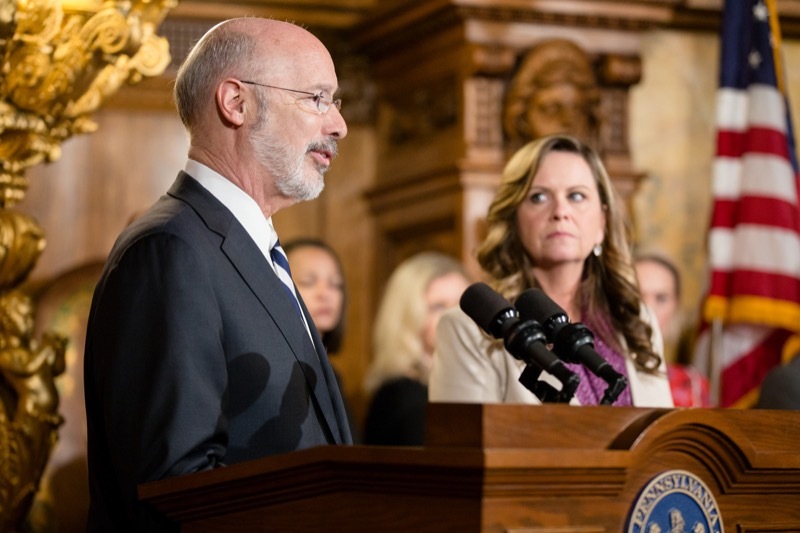 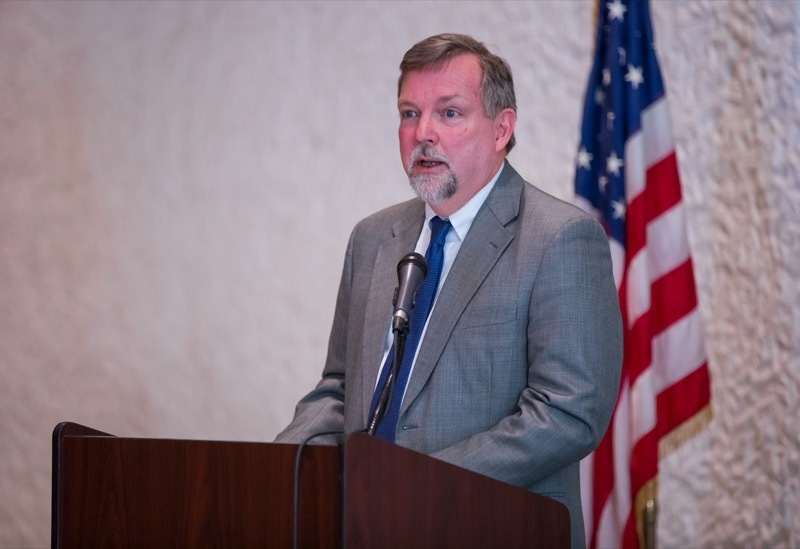 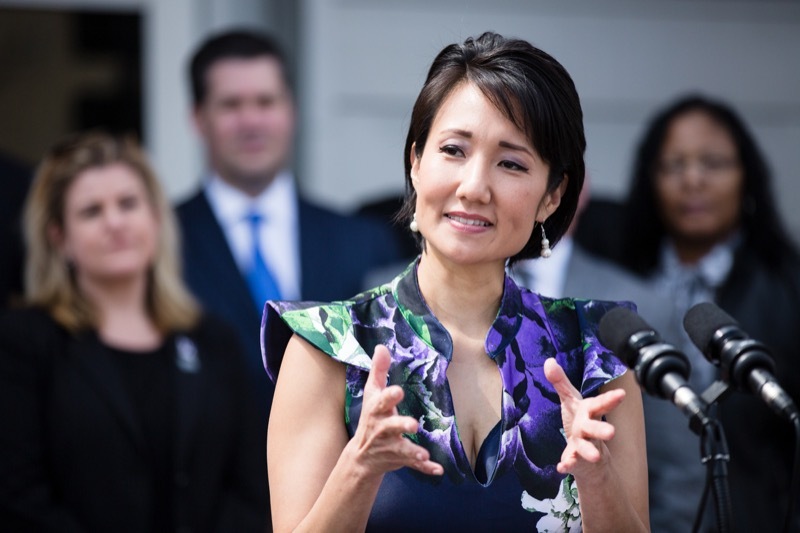 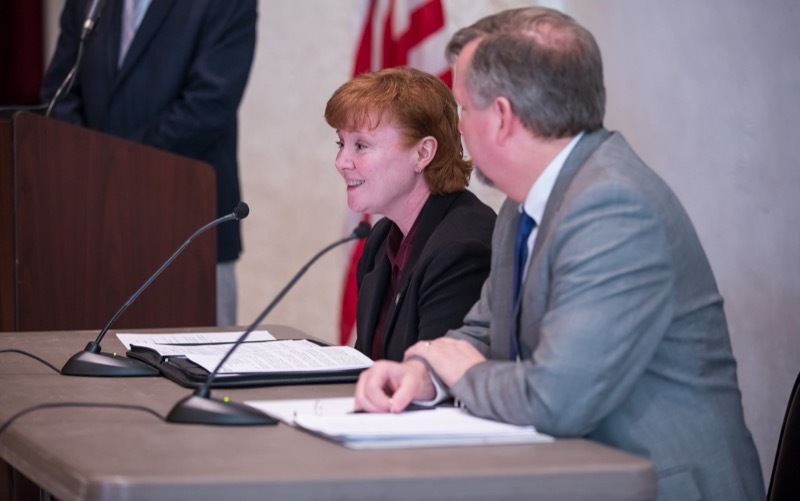 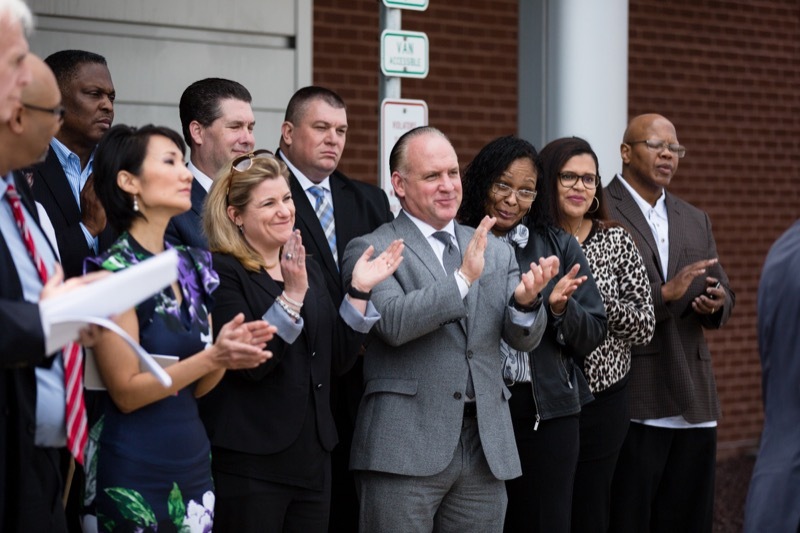 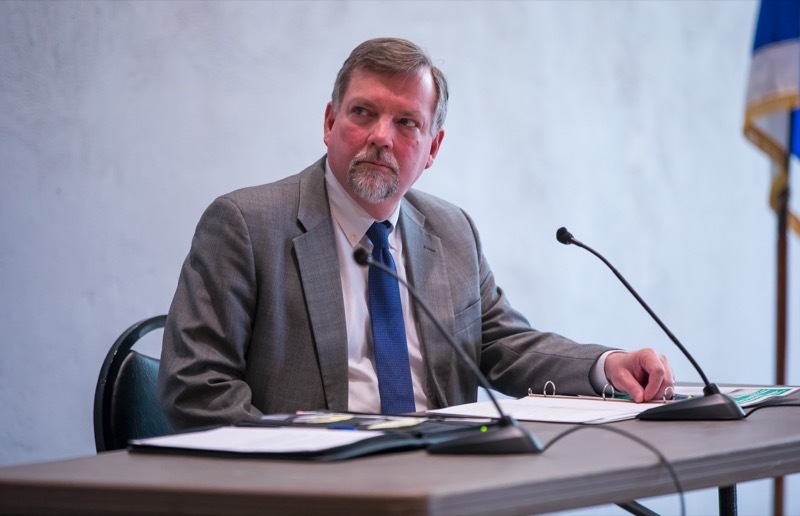 A six-county demonstration project-financed through private funds-is available now; proposed legislation would make the scholarship grant program available to every child statewide. 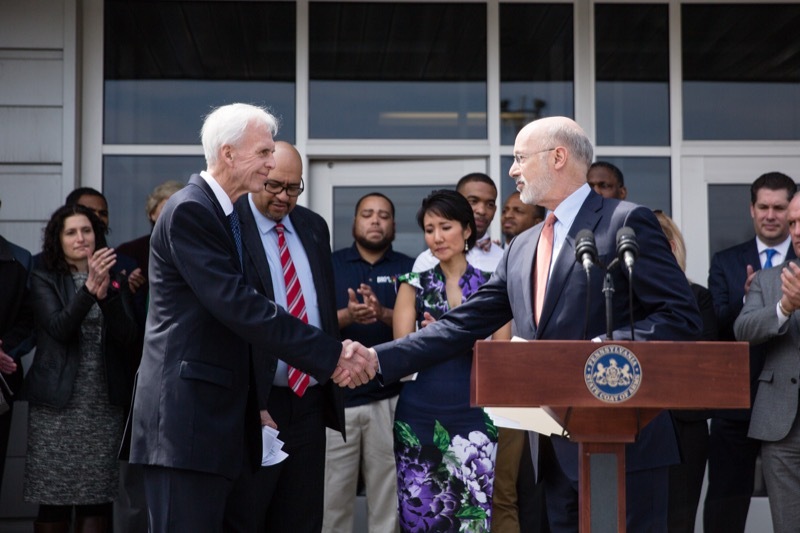 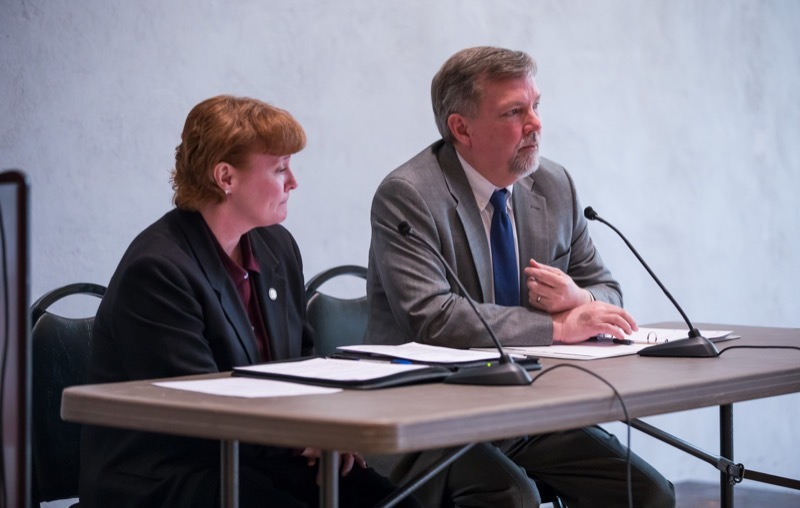 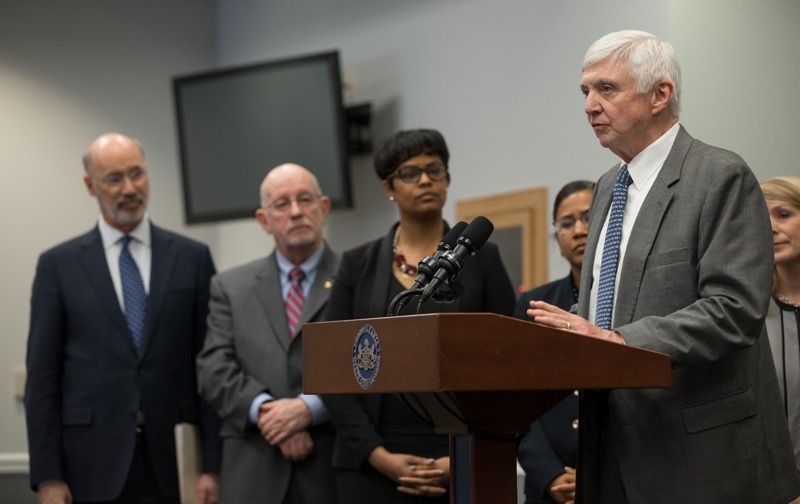 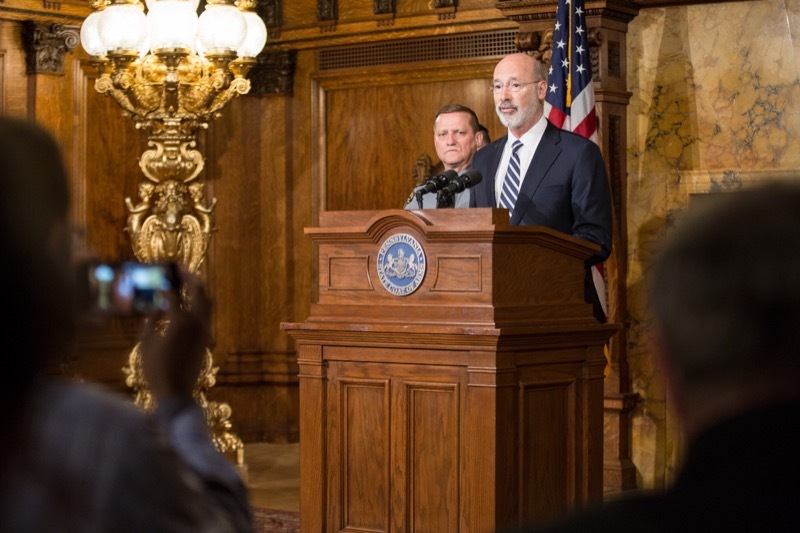 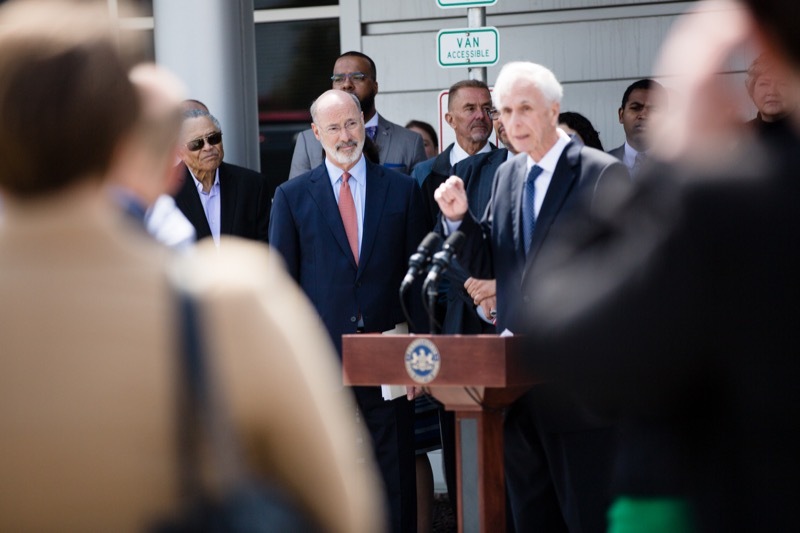 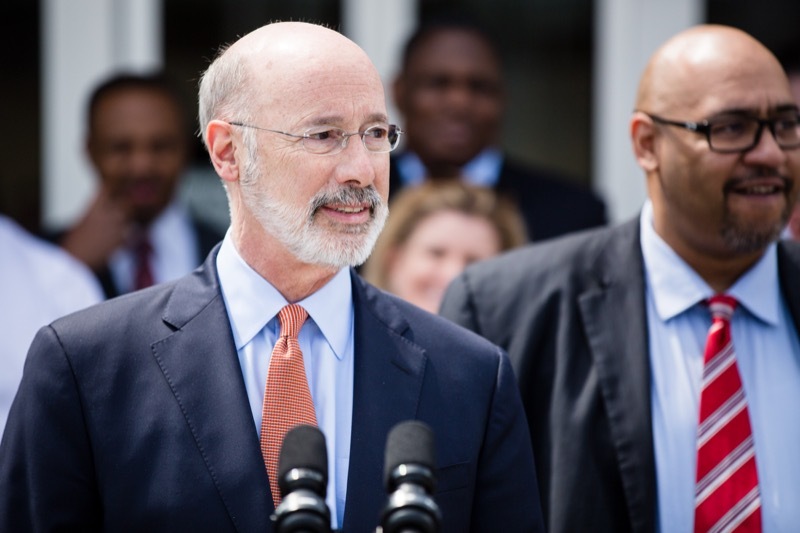 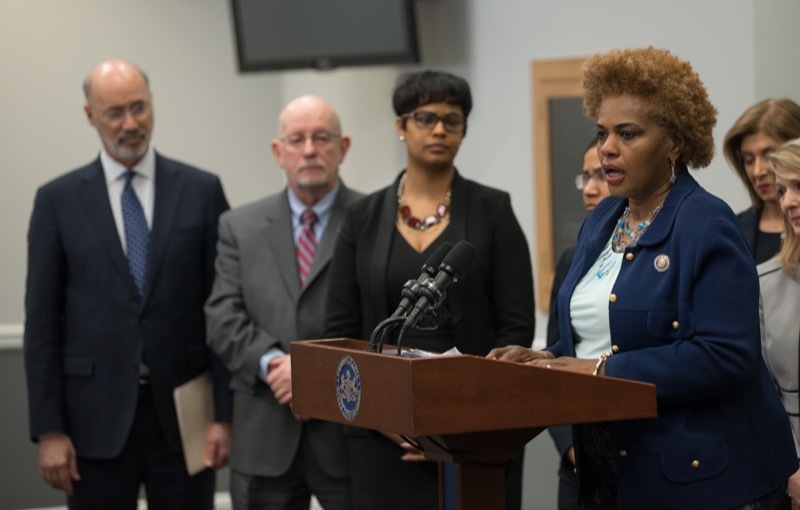 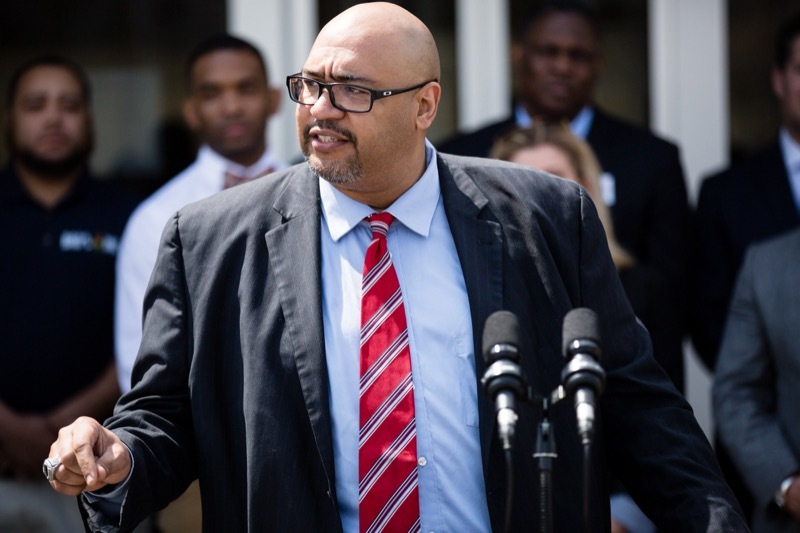 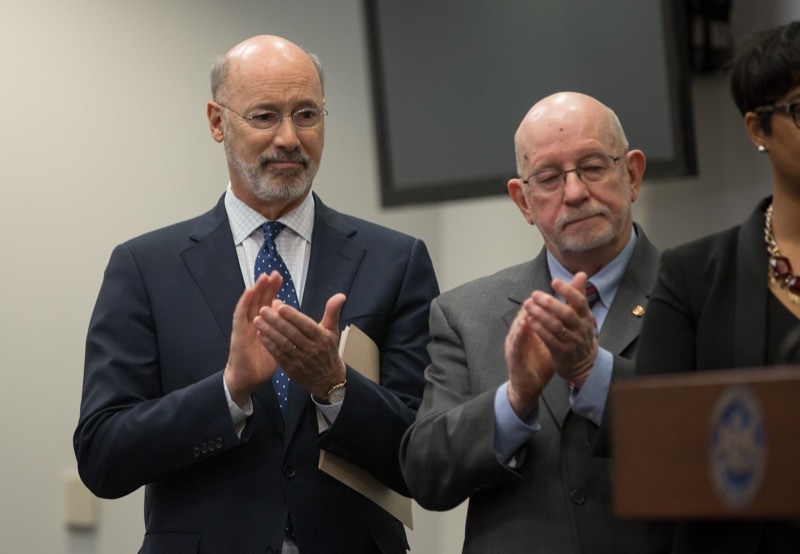 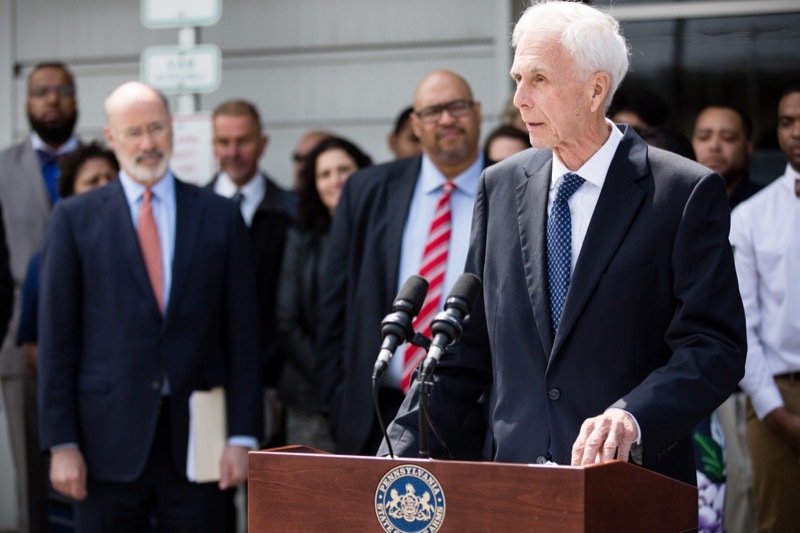 Governor Tom Wolf today joined Department of Corrections Secretary John Wetzel, legislators, and advocacy groups in a call-to-action for criminal justice reforms that are long overdue and necessary to provide consistency and uniformity in the system. 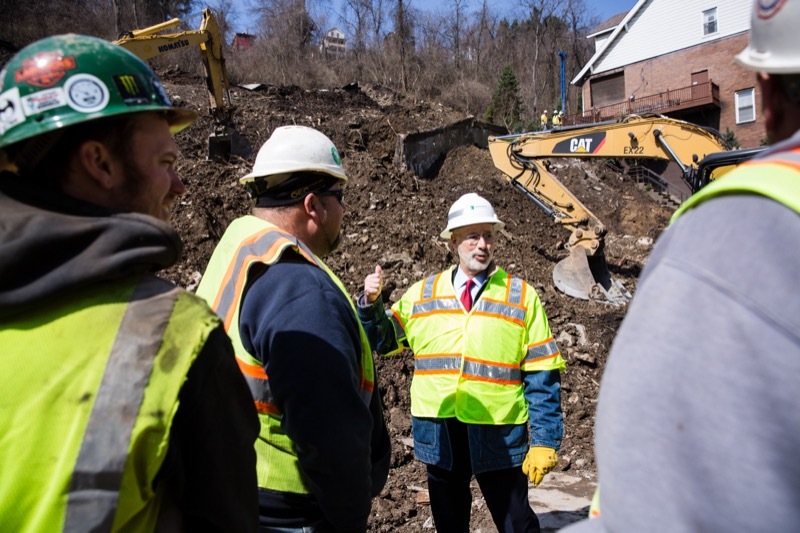 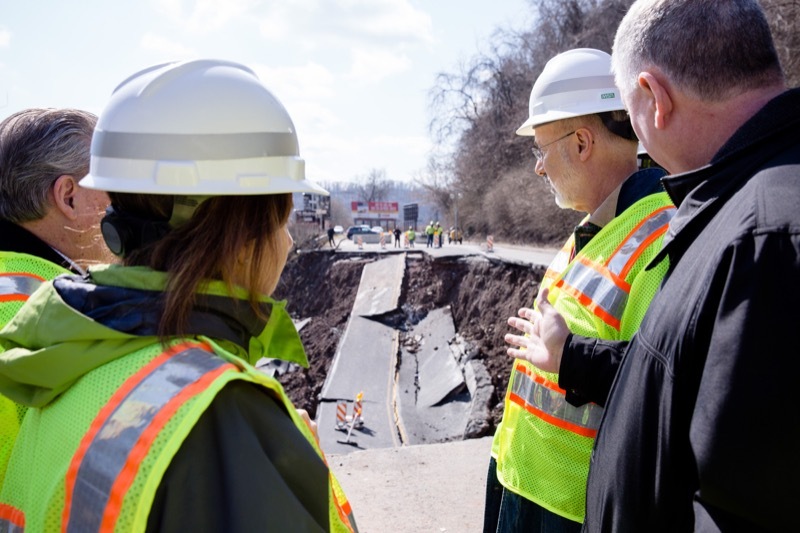 Governor Tom Wolf joined Pennsylvania Department of Transportation (PennDOT) Secretary Leslie Richards, Pennsylvania Emergency Management Director Rick Flinn, PennDOT District Executive Cheryl Moon-Siriani, Allegheny County Executive Rich Fitzgerald, and Allegheny County Chief of Emergency Services Matt Brown to survey the damage to three of four Route 30 lanes in East Pittsburgh that collapsed on Saturday due to a landslide. 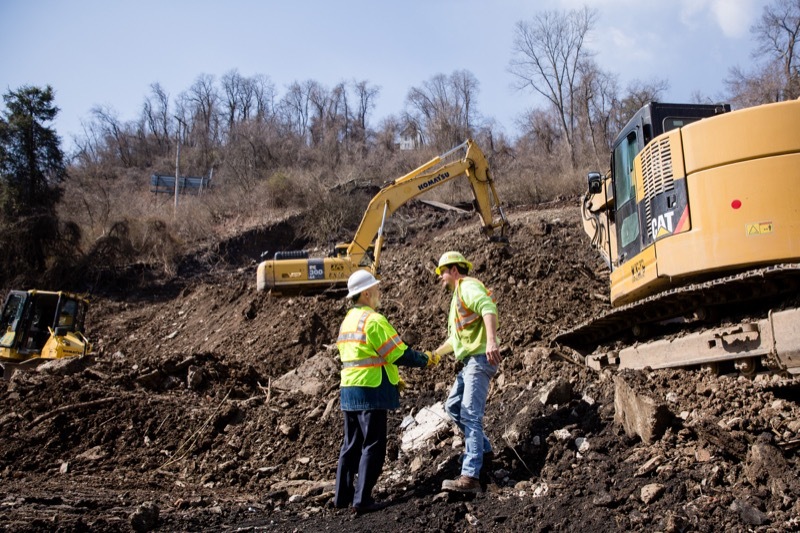 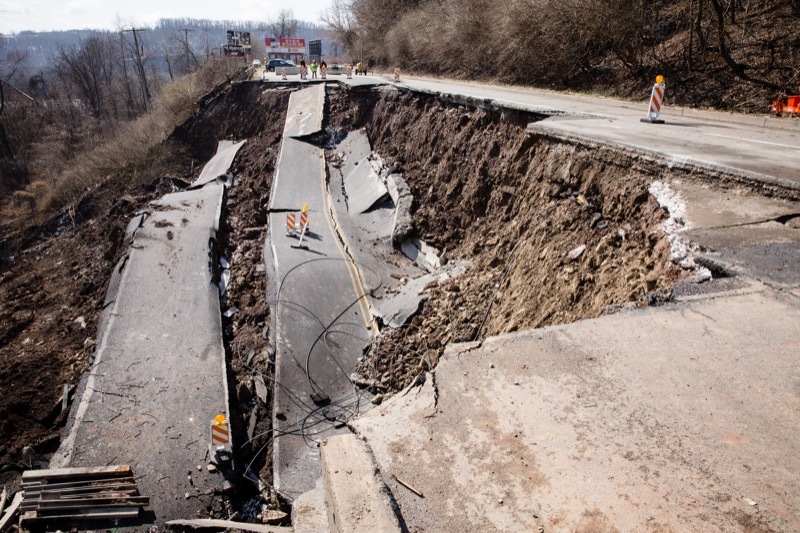 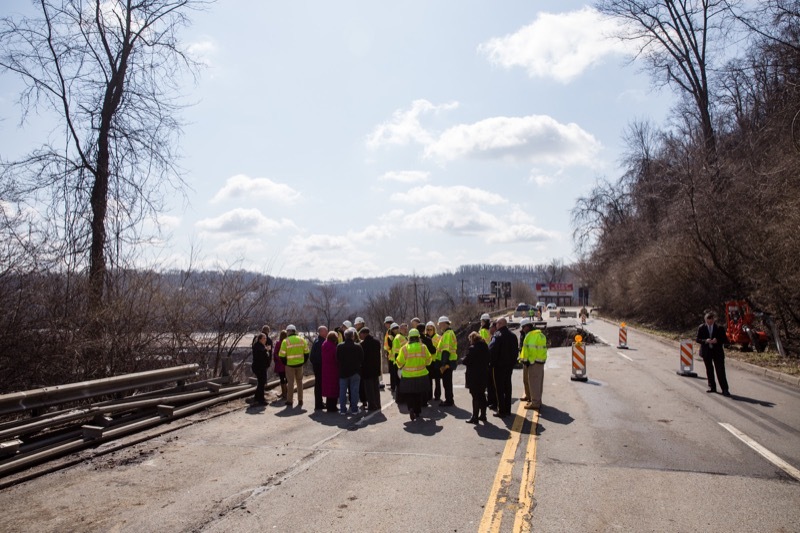 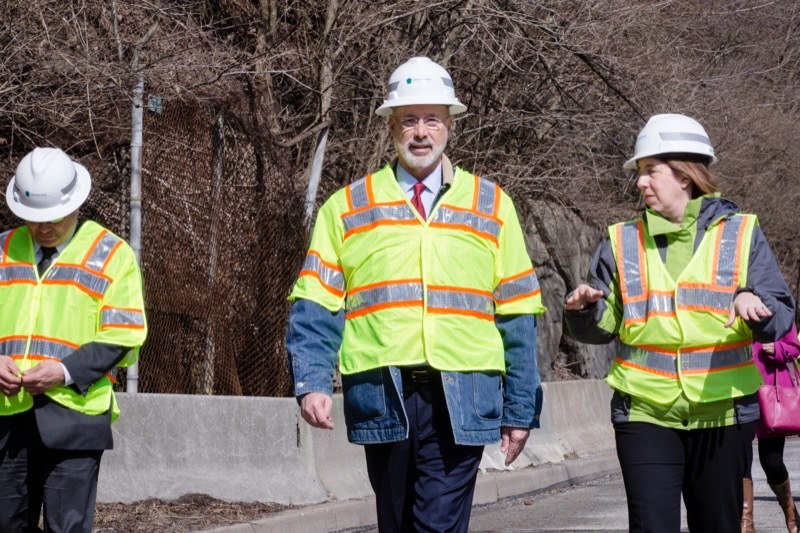 Today, Governor Tom Wolf joined Pennsylvania Department of Transportation (PennDOT) Secretary Leslie Richards, Pennsylvania Emergency Management Director Rick Flinn, PennDOT District Executive Cheryl Moon-Siriani, Allegheny County Executive Rich Fitzgerald, and Allegheny County Chief of Emergency Services Matt Brown to survey the damage to three of four Route 30 lanes in East Pittsburgh that collapsed on Saturday due to a landslide. 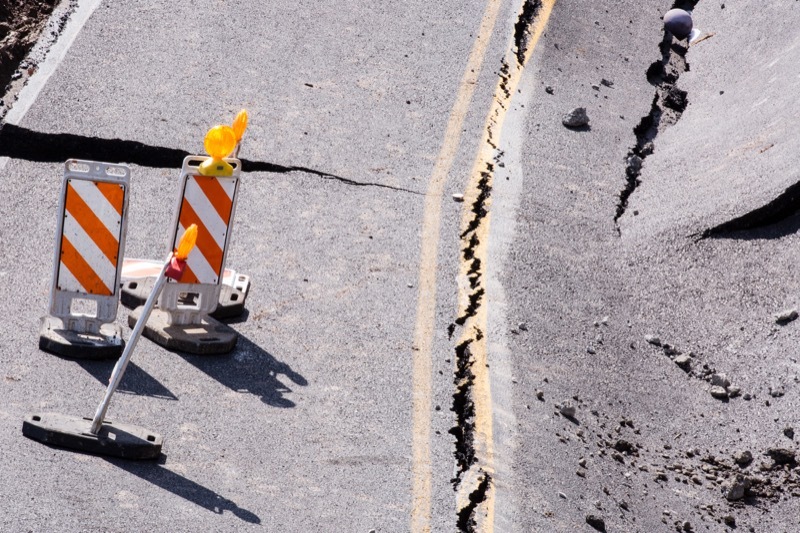 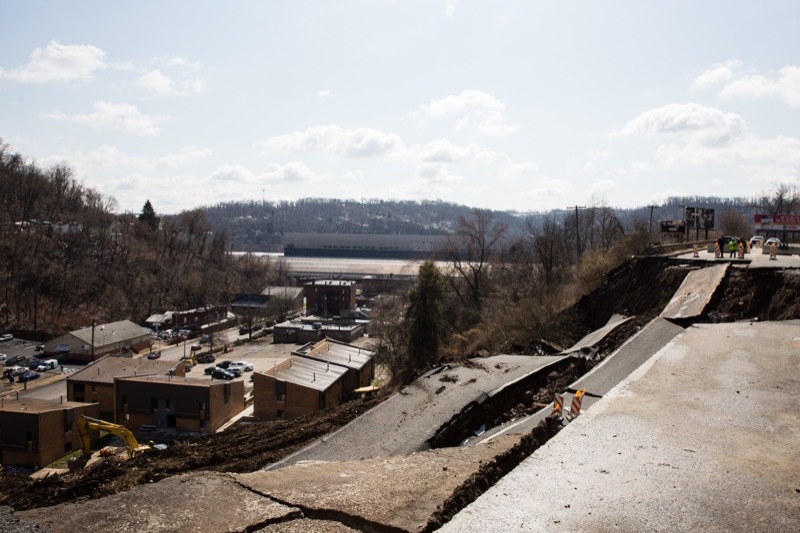 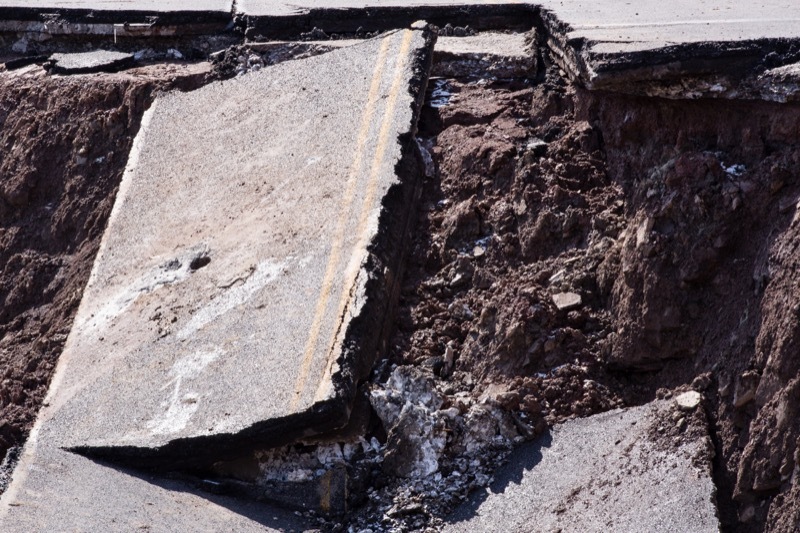 The landslide previously caused a water line break and the forced evacuation of area residents. 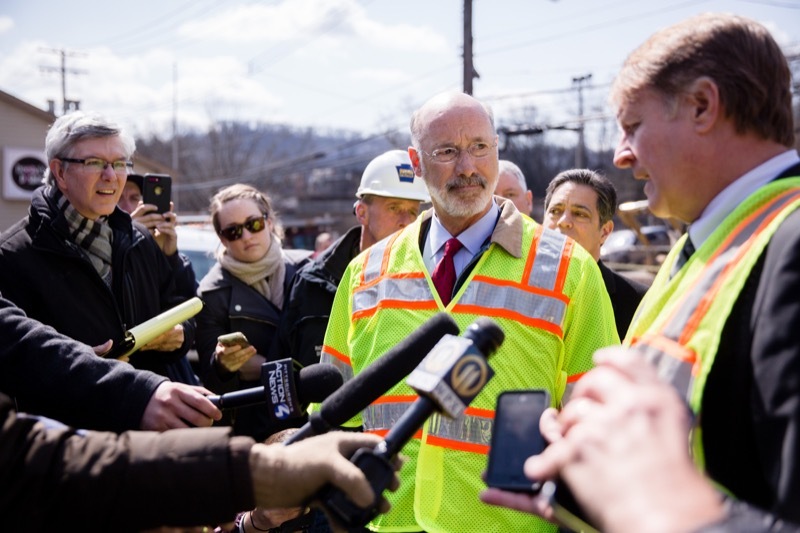 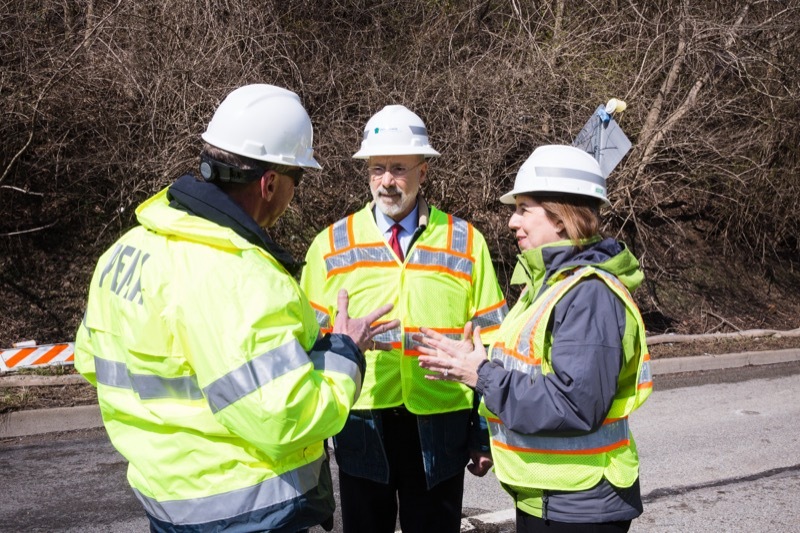 The governor met with state and local officials regarding the latest developments and briefed the media following the site tour. 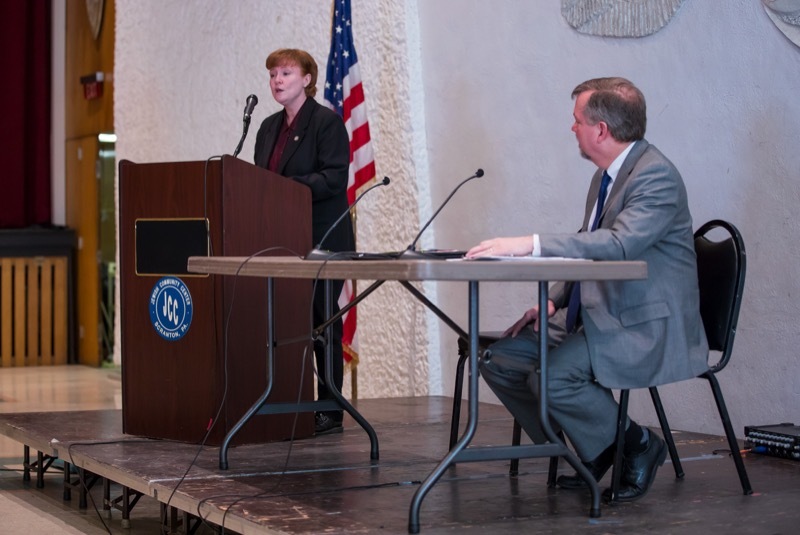 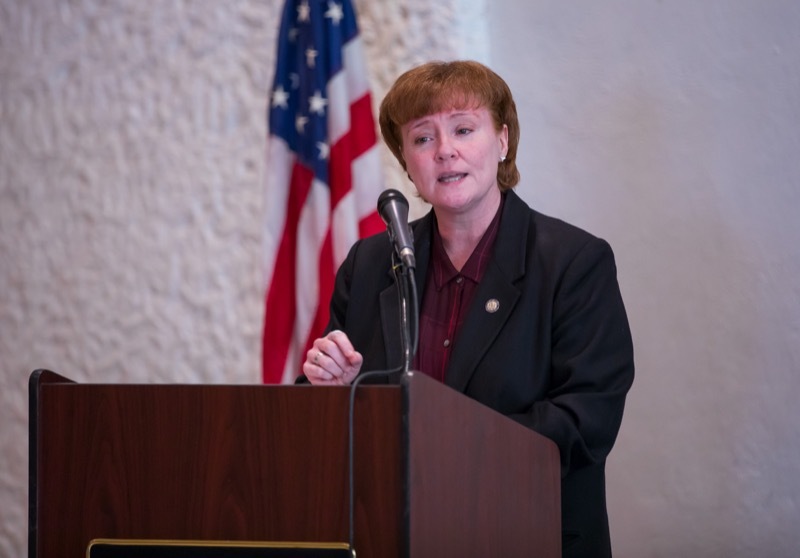 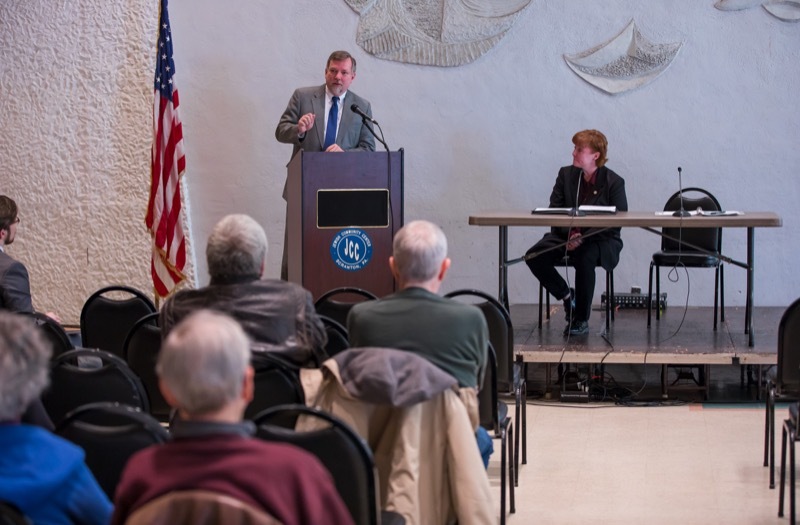 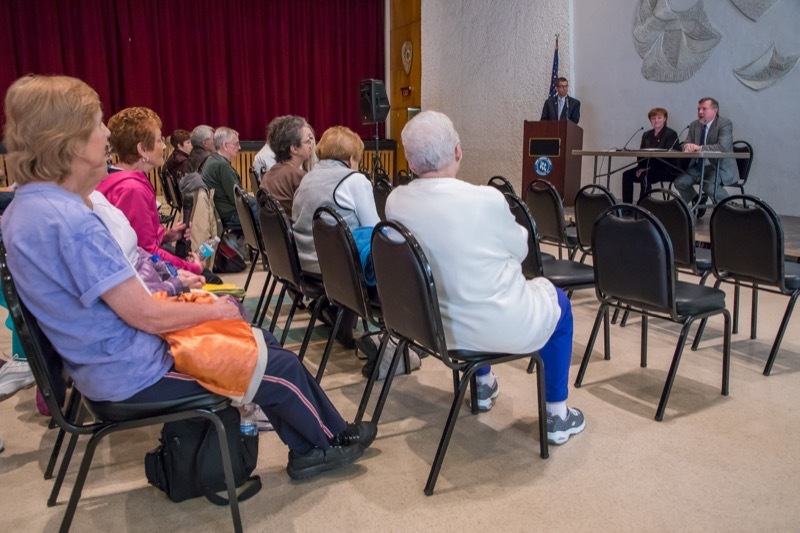 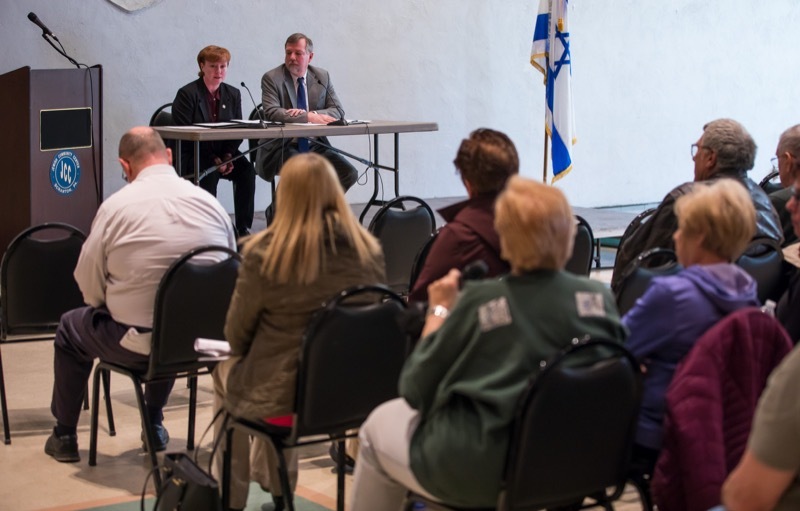 Secretary of Aging Teresa Osborne and Revenue Secretary Dan Hassell today traveled to the Scranton Jewish Community Center to lead a community discussion on steps the Wolf Administration has taken to protect older Pennsylvanians from scams and financial exploitation. 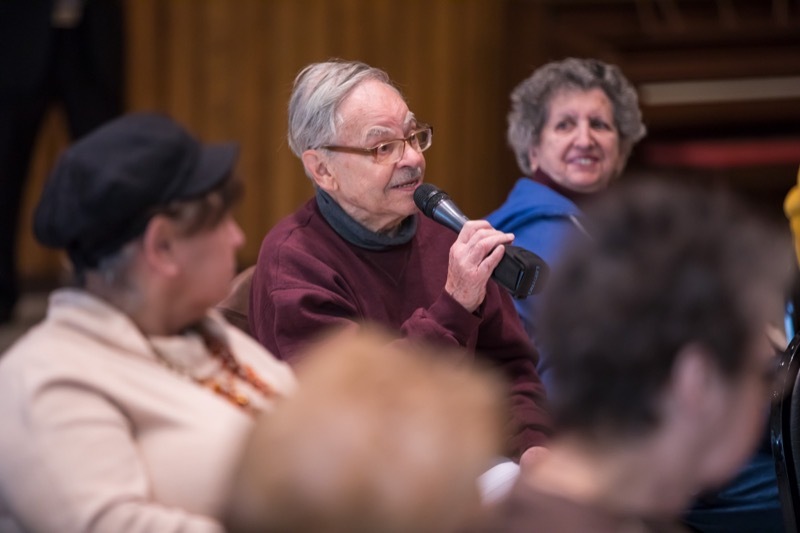 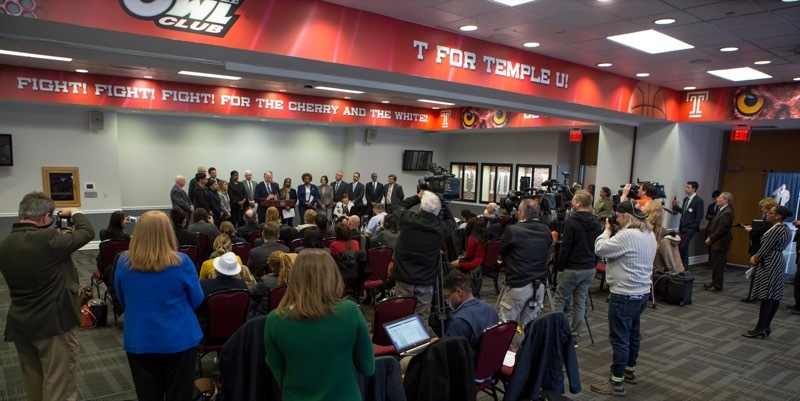 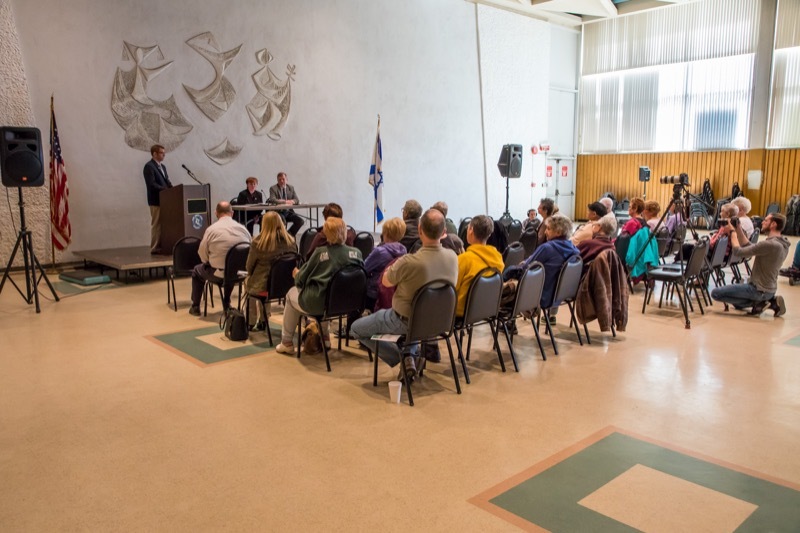 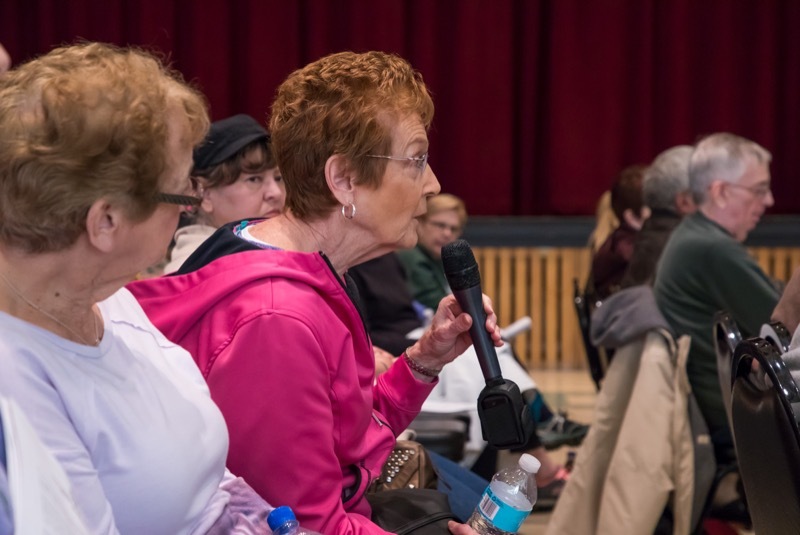 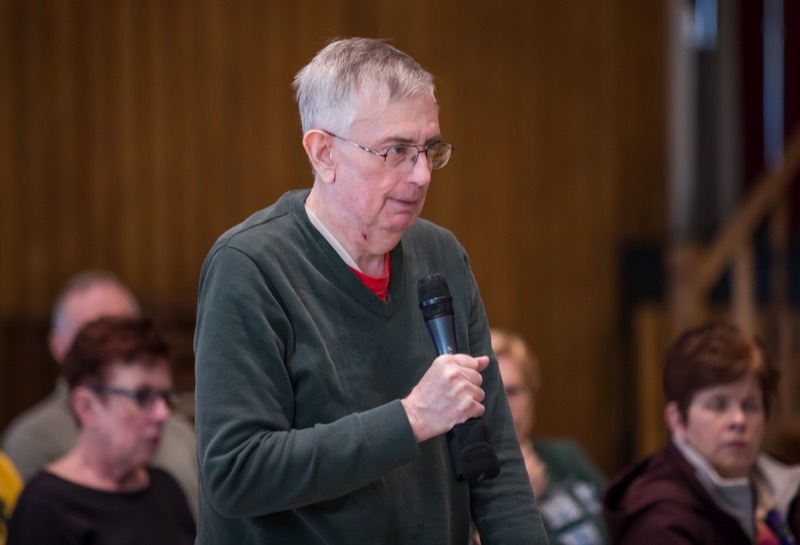 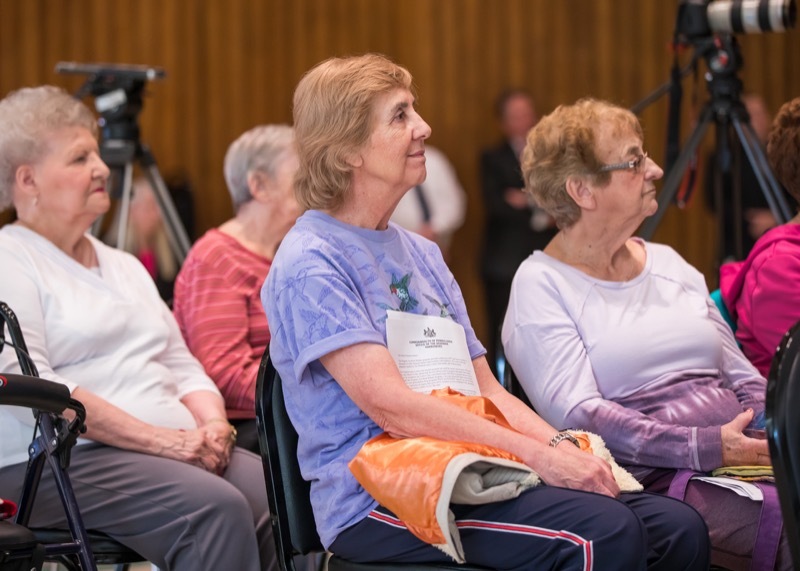 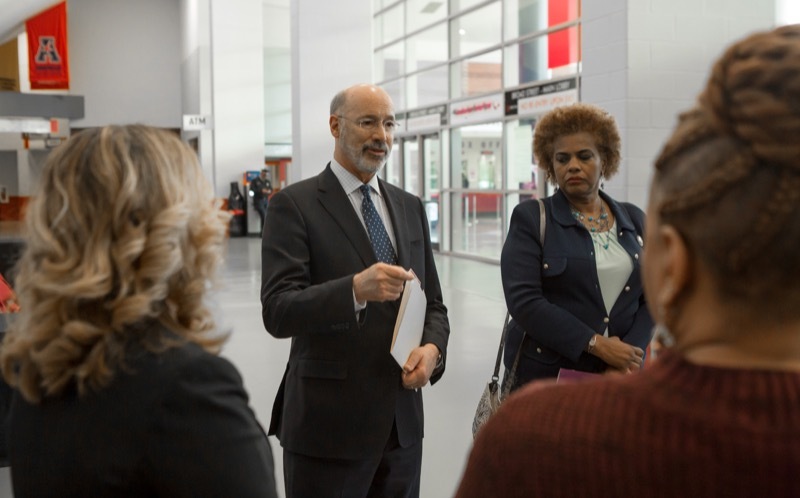 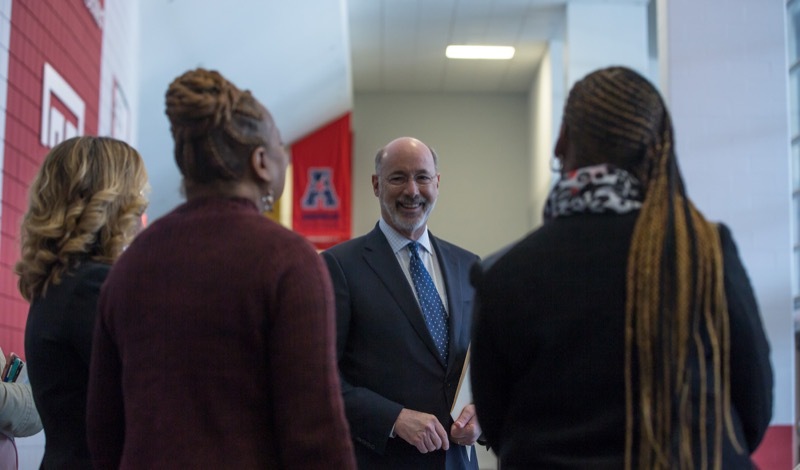 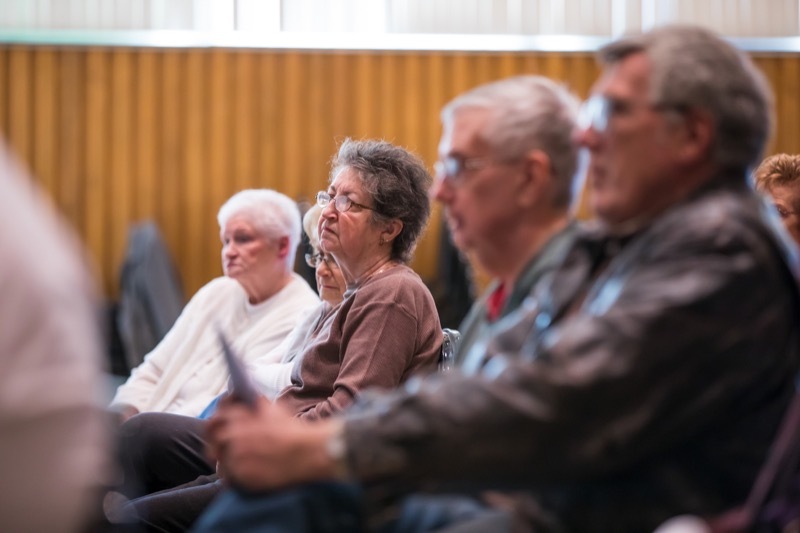 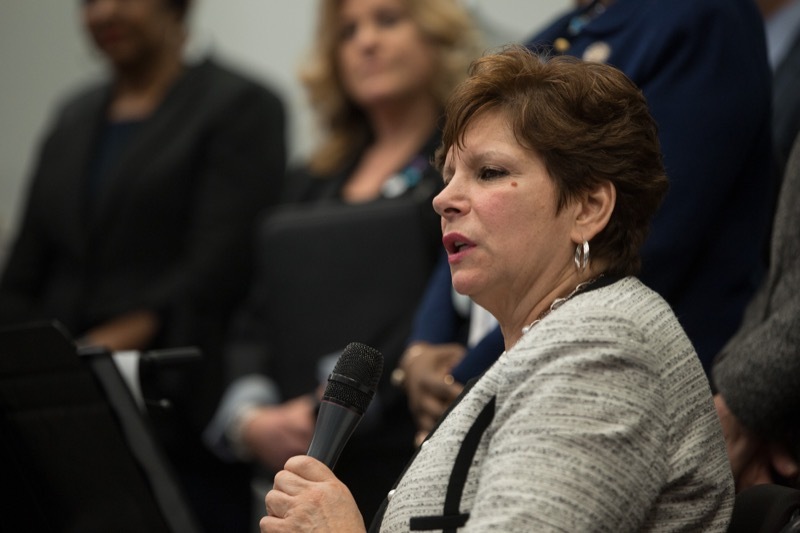 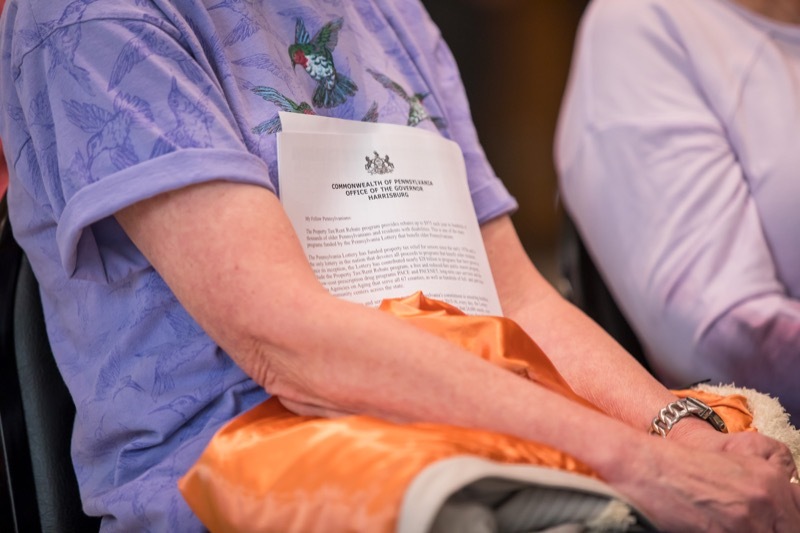 The town-hall style event also afforded those in attendance the opportunity to ask questions and discuss their own experiences with two cabinet secretaries working for Governor Wolf. 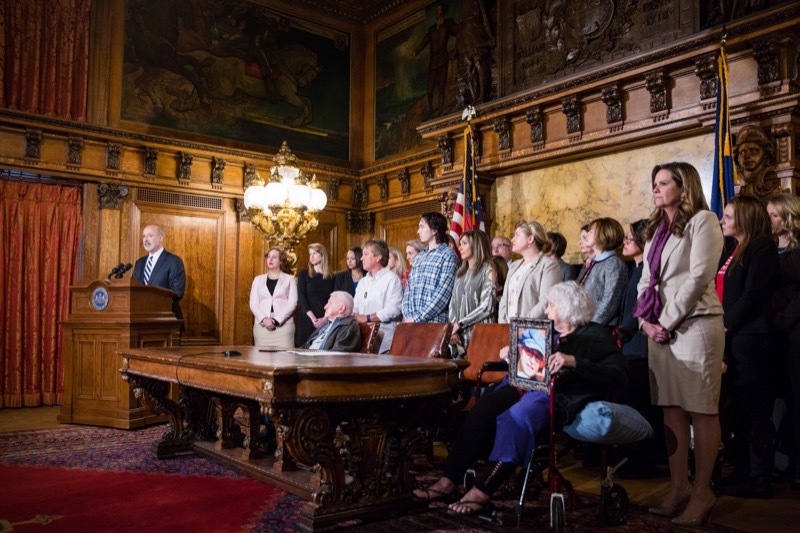 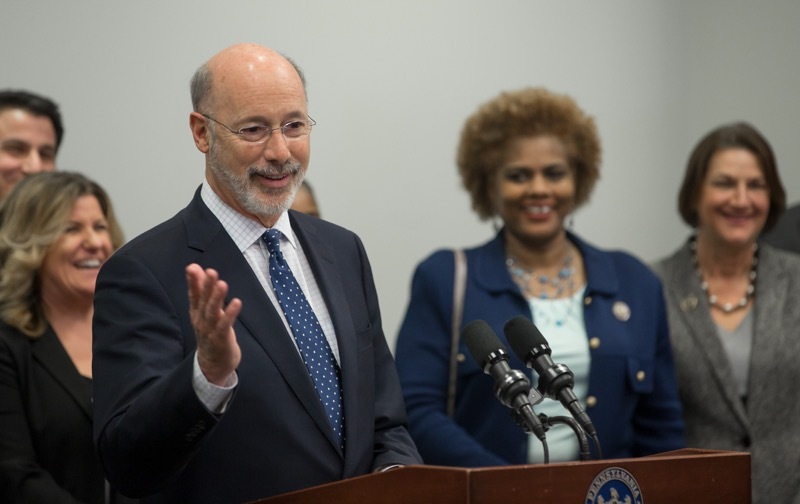 Governor Tom Wolf joined House and Senate Democrats today to announce a package of reforms to strengthen protections against sexual harassment and discrimination for employees, provide new legal options for victims and hold those who are responsible accountable for their actions. 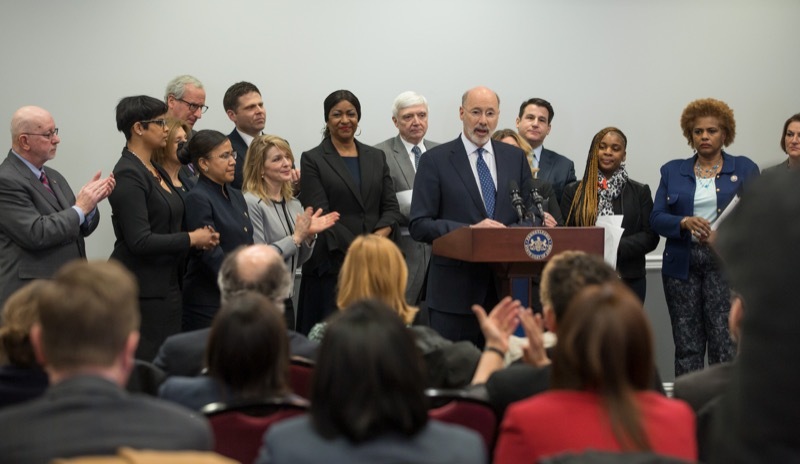 Philadelphia, PA - Governor Tom Wolf joined House and Senate Democrats today to announce a package of reforms to strengthen protections against sexual harassment and discrimination for employees, provide new legal options for victims and hold those who are responsible accountable for their actions.